The Miami Marlins avoided arbitration with J.T. 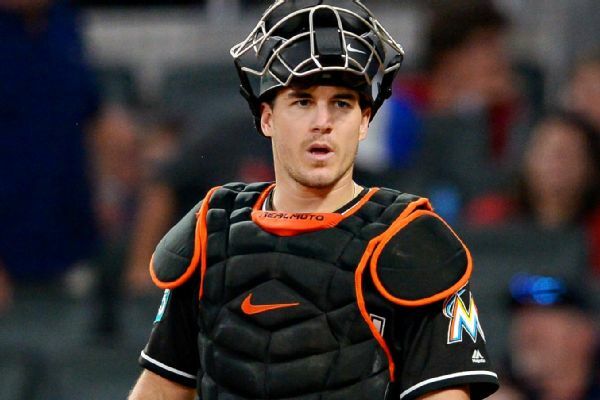 Realmuto by agreeing to a $5.9 million deal with the All-Star catcher, who has been mentioned in numerous trade scenarios this offseason. 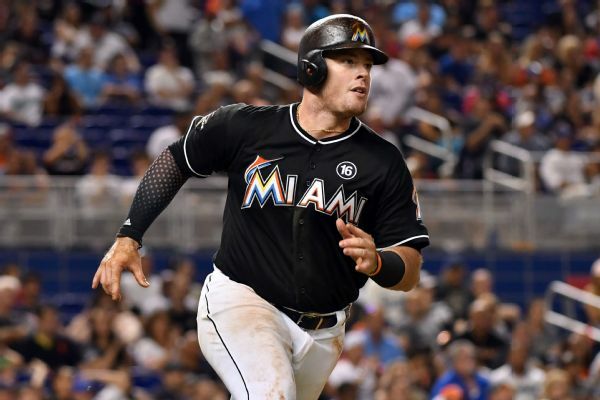 The Phillies acquired first baseman Justin Bour from the Marlins for a minor league pitching prospect, the teams announced Friday. 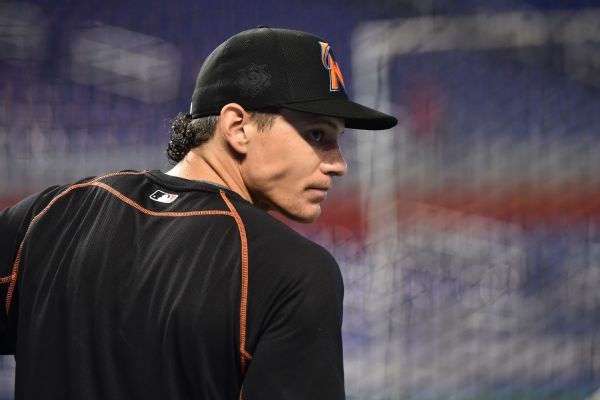 Third baseman Derek Dietrich and shortstop Miguel Rojas have agreed to contracts for 2018 with the Miami Marlins. 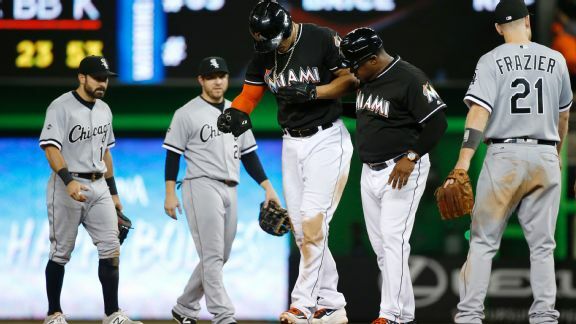 Mike Aviles took over at shortstop for the Marlins after Miguel Rojas appeared to injure his left arm while diving for a grounder in the second inning Sunday. Did you give up on St. Louis after a slow start? You aren't alone. 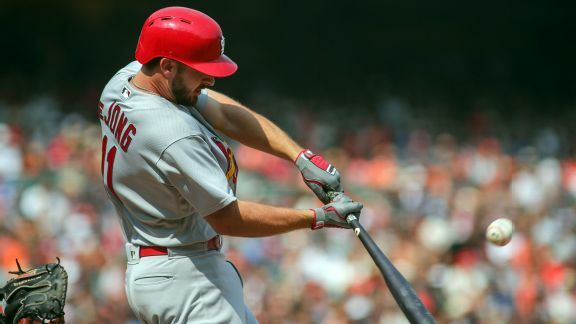 Here's how the Cards rebounded and why it could matter in October. 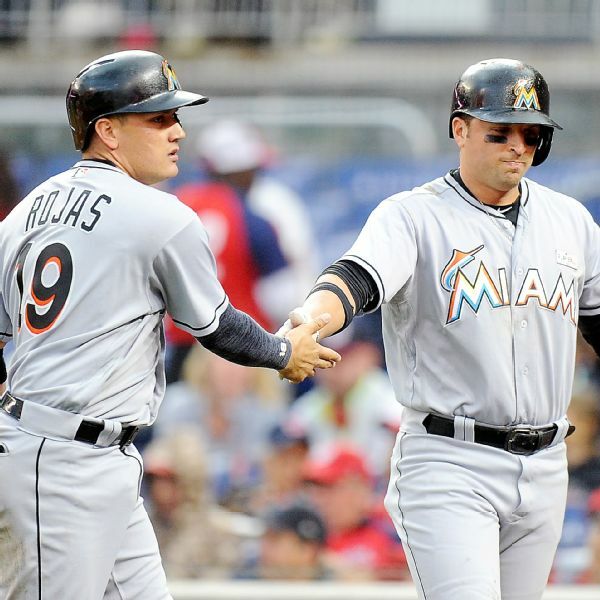 Marlins third baseman Martin Prado is out indefinitely with a hamstring strain in his right leg. 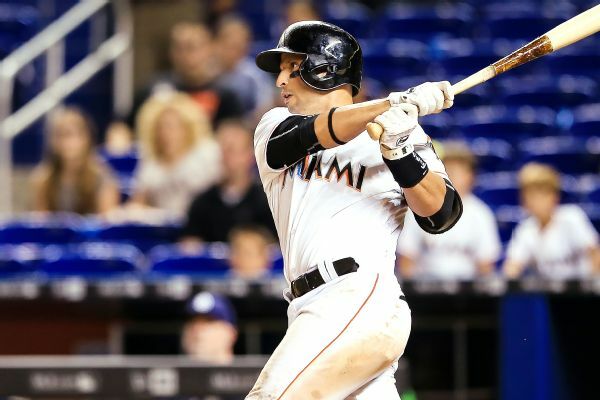 The Marlins are still waiting to learn the extent of third baseman Martin Prado's hamstring injury, including whether he'll be available for Opening Day. Nothing the Marlins can do -- including signing Alex Rodriguez -- will replace Giancarlo Stanton. That doesn't mean their playoff hopes are doomed.